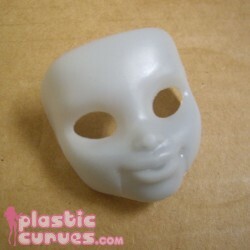 These masks are designed to fit IM dolls. You may need to add a strap if put on any other Monster doll. Masks There are 6 products. 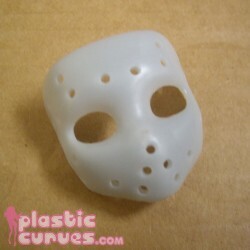 This is a hockey-style mask designed for your Monster Girls. 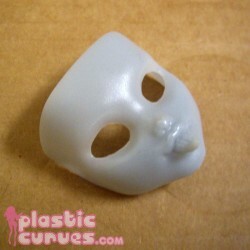 This is a human skin mask designed for your Monster Girls. 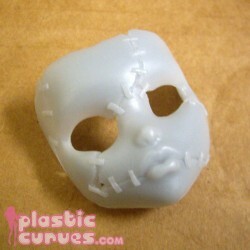 This is a puppet style mask designed to be used with IM ghouls. It will fit most ghouls, but you will probably need to add a strap or fastener of some sort if used with one that is not IM. Head or other parts visible are NOT included and are only there to model the accessory. This mask will hide the secret identity of your hero (villain?) and is designed to be used with IM ghouls. It will fit most ghouls, but you will probably need to add a strap or fastener of some sort if used with one that is not IM. Head or other parts visible are NOT included and are only there to model the accessory. 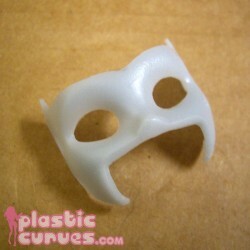 This mask has a long pointed tongue and is designed to be used with IM ghouls. It will fit most ghouls, but you will probably need to add a strap or fastener of some sort if used with one that is not IM. Head or other parts visible are NOT included and are only there to model the accessory. 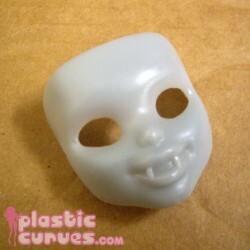 This mask has long vampire-like fangs and is designed to be used with IM ghouls. It will fit most ghouls, but you will probably need to add a strap or fastener of some sort if used with one that is not IM. Head or other parts visible are NOT included and are only there to model the accessory.